When shopping for winter-appropriate shoes, you may be tempted to forfeit style for the sake of comfort. But you can have both; just go for a classic shape, like a timeless ankle boot or pointy-toe pump, in an updated print or texture that will add some intrigue to your cold-weather look. Not sure where to begin? Sam Edelman has a massive inventory of swoon-worthy pairs to choose from. Pick one—or all!—and your feet will be forever grateful. Scroll down to shop some of our favorite picks from Sam Edelman. 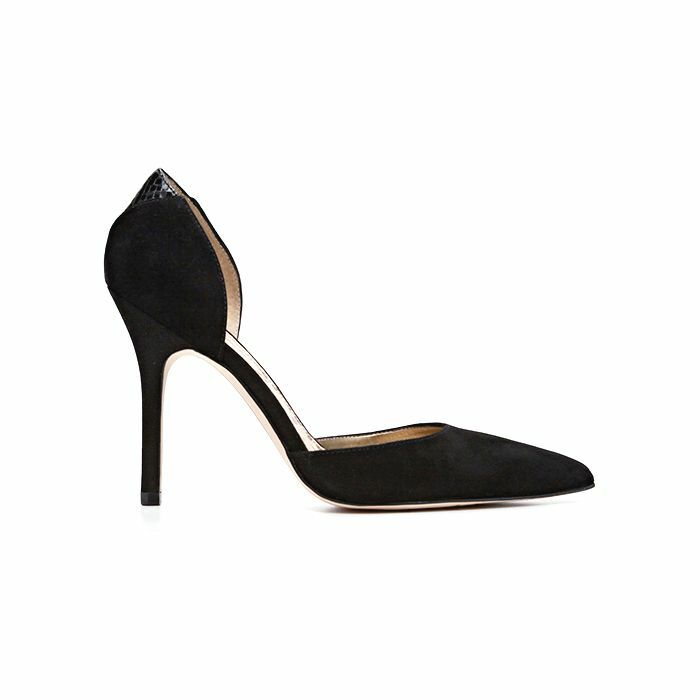 Throw these classic black pumps on with a pair of skinny jeans, a blouse, and blazer, and you can take your look from day to night in minutes. These booties come in the perfect neutral shade that’s versatile enough to pair with everything in your closet. Punch up an all-black outfit with these edgy leopard-print pumps. These lug soles are not only durable for inclement weather conditions, but they’re on-trend too. Add a dash of allure to your outfit with these over-the-knee boots that pair perfectly with jeans, dresses, and skirts. Want a bold print with a classic silhouette? Opt for this upgraded leopard pair. Try these metallic textured booties for an evening out; they’re a fun way to add glamour to your look without wearing full on heels. If you’re not in the mood to wear heels, these black suede booties are a stylish and comfortable stand-in. A cognac-colored bootie will go far in your wardrobe. Style these with black skinny jeans, a stripe top, and a green military jacket for the perfect on-the-go look. Heels or booties: What shoe style will we catch you wearing this winter? Tell us in the comments below!